← UPDATED / Herod’s Tomb in Plastic: A Learning Aid, or “Disneyland”? A story in today’s Haaretz deals with the excavations at Ramat Rachel, an archaeological site on the southern outskirts of Jerusalem spanning several historical periods. What is presumed to be a royal palace — it certainly boasts VIP architecture like the distinctive proto-Aeolic capitals, plus a host of the LMLK jar handles — seems to have been the centerpiece of a large estate which arose in the time of Hezekiah and continued in use until the Hasmonean period. It is also known to have included extensive ornamental gardens, since the terracing and water-gathering and irrigation systems have been documented over the past several years. 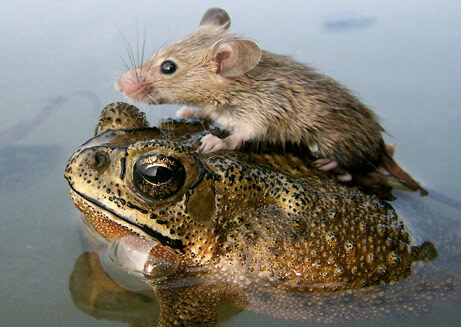 The focus of the present article, however, is on the particular species that were being grown here in the Persian period, after some of the exiled Jews returned from Captivity in Babylon. One, it turns out, was the etrog, a citrus-like fruit that may have been brought here from Persia; two others were myrtle and willow — all prized as belonging to the “four species” that figure into the Jewish celebration of Sukkot, the Feast of Tabernacles. In any event, the Ramat Rachel dig has documented the earliest known cultivation of these particular plants in this country. Of major interest here, to me at least, is the detective work that went into uncovering this latest aspect of the site in antiquity. The archaeologists hit on the idea of investigating the plaster in the terrace walls for signs of pollen. If you have always thought of pollen — the stuff bees carry around on their legs, to the benefit of the entire plant kingdom — as something delicate and ephemeral, think again! In reality, it’s tough as nails! Tougher, really, since iron nails in most cases rust and disintegrate rather quickly. 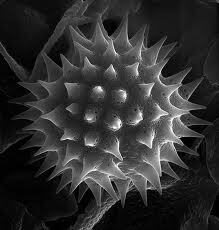 Pollen grains, on the other hand, are practically indestructible, even over archaeological time, thus these microscopic traces of botanical life are capable of being isolated and analyzed. Besides being quite beautiful little structures, they provide — among a host of other potential information — a very specific “fingerprint” of the kind of crops that were prevalent at a certain place (and time if, as here, they are found in a datable context), and even direct evidence (from a cess-pit, for example) of what people were eating! Quite amazing. Pollen reveals ancient palace grew the citrus in its garden. The earliest evidence of local cultivation of three of the Sukkot holiday’s traditional “four species” has been found at the most ancient royal royal garden ever discovered in Israel. The garden, at Kibbutz Ramat Rachel in Jerusalem, gave up its secrets through remnants of pollen found in the plaster of its walls. The garden was part of an Israelite palace at Ramat Rachel that has been excavated for many years, most recently in a joint dig by Prof. Oded Lipschits and Dr. Yuval Gadot of Tel Aviv University and Prof. Manfred Oeming of Heidelberg University. 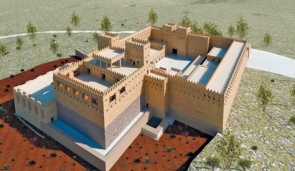 The palace existed from the time of King Hezekiah until the Hasmonean period in the second century B.C.E. The excavations revealed that the garden must have had a beautiful – and strategic – view, but it lacked its own water source. Thus the ancient landscape architects had to build channels and pools to collect rainwater for irrigation. The archaeologists discovered that the garden’s designers had removed the original hard soil and replaced it with suitable garden soil. But until recently, they had no idea what was grown there. Then, Lipschits said, he and his colleagues had a “wild thought”: If plasterers had worked on the garden walls in springtime, when flowers were blooming, breezes would have carried the pollen to the walls, where it would have become embedded in the plaster. Enlisting the aid of Tel Aviv University archaeobotanist Dr. Daphne Langot, they carefully peeled away layers of the plaster, revealing pollen from a number of plant species. Most of the plants were wild, but in one layer of plaster, apparently from the Persian period (the era of the Jewish return from the Babylonian exile in 538 B.C.E. ) they found pollen from ornamental species and fruit trees, some of which came from distant lands. The find that most excited the scholars was pollen from etrogs, or citrons, a fruit that originated in India. This is the earliest botanical evidence of citrons in the country. Scholars believe the citron came here via Persia, and that its Hebrew name, etrog, preserves the Persian name for the fruit – turung. They also say royal cultivation of the exotic newcomer was a means of advertising the king’s power and capabilities. The garden at Ramat Rachel is also the first place in the country to yield evidence of the cultivation of myrtle and willow – two more of the four species used in Sukkot rituals. This entry was posted in Archaeology, JERUSALEM and tagged ancient agriculture, Archaeology, etrog, Feast of Tabernacles, Four Species, pollen, Ramat Rahel, Sukkot. Bookmark the permalink.